Mars appears as Taurus the Bull’s third horn May 6, when it lies midway between the traditional horns represented by Beta (β) and Zeta (ζ) Tauri. Meanwhile, the waxing crescent Moon stands just above the Hyades star cluster, which forms the Bull’s face. Bright planets adorn May’s sky from dusk till dawn. Mars appears conspicuous in the west after sundown, an orange-colored interloper making its way from Taurus into Gemini. Before the Red Planet sets, Jupiter rises in the southeast. The giant world remains a beacon until morning twilight brightens the sky. By then, Saturn has climbed highest in the south and Venus gleams low in the east. Not to be outdone, Mercury appears in morning twilight in early May and returns in evening twilight by month’s end. As evening twilight deepens in early May, the constellations we typically associate with winter hang low in the west. But one object looks like it doesn’t belong. Mars glows at magnitude 1.6 among the background stars of Taurus, distorting the Bull’s familiar shape. Each day, the Red Planet slides farther east relative to the starry backdrop and reconfigures the constellation’s appearance. On May 6, the ruddy world nestles between the Bull’s two horns, Beta (β) and Zeta (ζ) Tauri, and makes it look like Taurus has sprouted a third one. Adding to the beautiful scene is a slender crescent Moon perched just above the Hyades star cluster, which forms the Bull’s face. The following evening, a slightly fatter crescent Moon slides 3° south of Mars. And for some lucky observers, Luna’s limb grazes Zeta Tau. 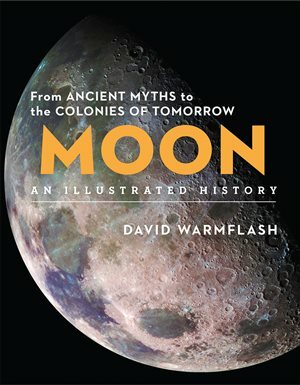 Those positioned on a narrow path that runs from Wichita, Kansas, to Savannah, Georgia, can see the 3rd-magnitude star disappear behind mountains and reappear in valleys along the Moon’s northern edge. Skywatchers south of this line witness a total occultation while those north of the line see the Moon barely miss the star. The timing of the event depends on your location; visit the International Occultation Timing Association’s website at www.lunar-occultations.com for the latest updates. Speaking of lunar occultations, you won’t want to miss the remarkable event arriving May 10. The waxing crescent Moon then passes through the middle of the Beehive star cluster (M44) in Cancer. Observers in the eastern half of North America have the chance to see dozens of stars disappear behind the Moon’s advancing dark limb. Most of the action occurs between 10 and 11 p.m. EDT. A telescope allows viewers to watch individual occultations while binoculars nicely capture the overall scene. A crescent Moon appears next to the Beehive Cluster (M44) after the Sun sets May 10. Later that evening, our satellite passes in front of the cluster. Mars moves much more slowly than the nearby Moon. The planet crosses into Gemini on May 16 and passes less than 0.5° north of the fine open star cluster M35 on the 18th and 19th. By the 31st, Mars has moved to a point 1° south of 3rd-magnitude Epsilon (ε) Geminorum. Now glowing at magnitude 1.8, the planet sets a little after 10:30 p.m. local daylight time. Unfortunately, a telescope shows no surface details on its 4"-diameter disk. As May winds down, Mars serves as a guide for finding Mercury. With binoculars in hand, scan to Mars’ lower right starting a half-hour after sunset. Mercury shows up as a bright dot some 5° high in the west-northwest. It shines at magnitude –1.1 and appears obvious to the naked eye once you know where to look. The innermost planet will climb significantly higher in the evening sky during June. While Mercury may be a struggle to see, Jupiter presents no such problem. The giant planet shines at magnitude –2.5 in early May and rises soon after 11 p.m. local daylight time. It brightens to magnitude –2.6 by month’s end, when it already appears low in the southeast as twilight ends. Jupiter lies in southern Ophiuchus, some 10° to 15° east-northeast of Antares in neighboring Scorpius. Under a dark sky, you’ll see the bright planet set against the Milky Way’s large but faint bulge. A waning gibbous Moon stands about 7° west of Jupiter the evening of May 19 and a similar distance east of the planet the following night. Jupiter typically displays more detail through a telescope than any other planet. And that’s particularly true when it looms large, as it does during May. The gas giant’s equatorial diameter swells from 43" to 46" this month. For the best views, wait until Jupiter climbs highest in the south after midnight. Even small scopes show two dark cloud belts straddling a brighter zone that coincides with the equator. During moments of good seeing, a whole series of parallel belts and zones snap into focus. Turbulent atmospheric features tend to cluster along the boundaries of these bands. The most notable one is the Great Red Spot, which appears roughly every other night as the planet’s 10-hour rotation period brings it into view. During a 14-minute period starting shortly after 1:30 a.m. EDT on May 25, the solar system’s largest moon disappears into the giant planet’s shadow. A small telescope also reveals up to four bright moons. The only times you won’t see this many are when one or more of them are behind or in front of Jupiter. But don’t consider this as a loss — some of the best satellite viewing comes just before, during, and after these events. A prime example occurs the morning of May 7. Ganymede — the solar system’s largest moon — casts its shadow onto Jupiter’s north polar region starting at 3:42 a.m. EDT. This shadow transit lasts more than two hours, so observers in the Eastern time zone won’t be able to follow it to conclusion. Three nice events take place within a three-hour period May 18. Ganymede reappears from behind Jupiter’s southeastern limb at 2:16 a.m. EDT. Innermost Io then casts its shadow onto the jovian cloud tops beginning at 3:44 a.m., and 33 minutes later, Io itself starts to transit Jupiter’s disk. Each of these transits lasts about 130 minutes. The following morning, watch Io reappear from behind the planet at 3:37 a.m. EDT. It returns to view adjacent to the South Equatorial Belt, noticeably farther north than Ganymede reappeared the previous night. Although all the moons orbit Jupiter in the same plane, that plane currently tilts 3° to our line of sight. Because Io lies closer to the gas giant than Ganymede, it doesn’t stray as far from the planet’s equator. Perhaps this month’s most intriguing satellite event occurs the night of May 24/25. As Jupiter rises, you can find Ganymede to the planet’s west. If you keep watching, however, you’ll see the moon slowly fade from view. At 1:41 a.m. EDT, Ganymede starts to enter Jupiter’s shadow while it’s still 16" from the planet’s limb. The moon is so big that it takes 14 minutes to completely disappear. Saturn lies nearly 30° east of Jupiter and crosses the sky about two hours behind its bigger cousin. The ringed planet brightens from magnitude 0.5 to 0.3 during May, making it nearly four times brighter than any of the stars in its host constellation, Sagittarius the Archer. Jupiter and Saturn are splendid sights in the southern sky before dawn. Both objects will reach opposition within the next two months. Of course, a naked-eye view of Saturn tells only part of its story. To complete the picture, you need to target it through a telescope. Even the smallest scope shows the planet’s elegant rings wrapped around a golden-colored globe. The sight brings a thrill to observers whether it’s their first look or their thousandth. In mid-May, Saturn’s disk appears 18" across while the rings span 40" and tilt 24° to our line of sight. A 4-inch telescope also reveals five saturnian moons. The brightest is 8th-magnitude Titan, which shows up through any instrument. It takes 16 days to orbit the planet, so you can see two complete revolutions during the month. Look for it south of Saturn on May 4 and 20 and north of the planet on the 12th and 28th. At these times, Titan stands four times the diameter of Saturn’s disk from the planet. When it’s farthest east or west of Saturn, it lies 10 disk diameters away. A trio of 10th-magnitude moons — Tethys, Dione, and Rhea — circle the planet well inside Titan’s orbit. Mysterious Iapetus orbits much farther out. It glows at 10th magnitude in early May when it lies farthest west of Saturn and its bright hemisphere faces Earth. But at a distance of 30 Saturn diameters from the planet, this moon can be hard to pick out of the background. Iapetus dims to 11th magnitude by the time it passes four disk diameters north of the planet May 18 and 19. The solar system’s two outer planets hang low in the predawn sky in late May. Neptune is the easier object. On the 31st, it climbs nearly 20° high in the east-southeast as twilight starts to paint the sky. You’ll need binoculars to spot the magnitude 7.9 planet in eastern Aquarius, 1.2° east-northeast of 4th-magnitude Phi (ϕ) Aquarii. A telescope shows Neptune’s 2.3"-diameter disk and blue-gray color. Although Uranus shines at magnitude 5.9, significantly brighter than Neptune, it proves harder to see because it doesn’t escape the twilight glow. Your best opportunity comes May 18, when it lies 1.2° due north (upper left) of brilliant Venus. Center Venus in your binoculars and Uranus will be the brightest object just to the north. Your second chance comes on the 31st, when Uranus appears 5° north of a waning crescent Moon. The two objects clear the eastern horizon more than an hour before sunrise. Venus remains a beacon in morning twilight during May. Shining at magnitude –3.8, it stands out from the time it rises an hour before the Sun until our star’s glare overwhelms it some 45 minutes later. The planet looks stunning all month, but never better than it does when a slender crescent Moon passes 4° to its south on the 2nd. If you use binoculars to enjoy the scene, you might also catch sight of Mercury. The innermost planet lies 8° to Venus’ lower left and barely 2° above the horizon a half-hour before sunrise. Mercury shines brightly, at magnitude –0.4, and might show up if you have an excellent sky. It disappears within the next few days as it heads toward superior conjunction on the 21st. Explore the area just west of the Sea of Moisture as the Moon waxes toward Full on May 15 and 16. Although the waxing gibbous Moon on May 15 shines brightly, high-contrast features still lurk along the terminator where the rising Sun meets lunar night. The changing lighting exposes fine details that change appearance with each passing hour. Tucked along the western shore of Mare Humorum (Sea of Moisture) in the Moon’s southwestern quadrant lies a curved cliff named Rupes Liebig. After a giant impact gouged out the mare, lava flooded the circular basin. As the sea sank under the lava’s weight, the floor cracked and fell, leaving behind Rupes Liebig. The cliff shows up as a bright white arc when it catches the early morning sunlight. Next, look for two lines that appear to connect the craters Liebig and de Gasparis. These long, narrow depressions, called rilles, are not concentric to Humorum. Instead, they belong to a family of rilles that extends radially from a huge, buried basin. Deep cracks formed from that ages-old impact. Over time, the walls slumped down, and later bombardments splashed more material into them. On May 16, the Sun fully illuminates the crater Mersenius. With a diameter of 52 miles, this crater should have a central peak. The mountain is there, but it lies buried under the lava that later oozed up through cracks in the floor. The frozen lava lake sits in the crater in an odd way, however. Instead of forming a flat pool, the surface has been pushed up into a broad dome. Finally, take a look just south of the craters Henry and Henry Frères. Do you see a Dragon’s Mouth here? Observer Dave Gamble says the play of light and shadow on the peaks and crater rims here reminds him of “a mouthful of very bright teeth.” Although they are nothing more than tricks of the terrain and the mind’s fancy, it’s fun to observe them, especially when the illusion can come and go in 30 minutes. With New Moon arriving May 4, conditions couldn’t be better for the Eta Aquariid meteor shower. The show peaks the morning of May 6, and the Moon’s absence means viewers under a dark sky should see a great display. The meteors appear to radiate from Aquarius. From mid-northern latitudes, this constellation rises near 2:30 a.m. local daylight time and climbs 25° high by twilight’s start. The meteors derive from dust ejected by Comet 1P/Halley. Although this famous visitor currently lies about as far from the Sun as it can, debris from its many encounters with the Sun fills its orbit. When Earth plows through these particles, friction with air molecules incinerates them and produces the streaks we see. Sharp-eyed observers with 10-inch or larger telescopes should be able to view this 13th-magnitude object near the Scorpius-Lupus border. Although astronomers don’t expect any comets to glow brightly in May, die-hard comet hunters do have one reasonable target visible through 10-inch or larger telescopes from under a dark sky. Comet ATLAS (C/2017 M4) should glow at 13th magnitude this month as it makes its way from Scorpius the Scorpion into Lupus the Wolf. This region rises shortly before midnight local daylight time and climbs highest in the south between 2 and 3 a.m. The best Moon-free observing period comes during May’s first two weeks. On the 1st, the comet lies 5° west of 3rd-magnitude Mu1 (μ1) Scorpii. It then heads west-southwest, passing 1.3° south of 3rd-magnitude Eta (η) Lupi on the 13th. The star fields in this area have a nice range of magnitudes, which makes star-hopping relatively easy. First locate the 9th-magnitude globular star cluster NGC 6139. Use it as an anchor for your search, but don’t confuse it with the comet. Plan to use magnifications of 250x or more to darken the field. The comet should display a fuzzy coma a few tens of arcseconds across. Astronomers using the 20-inch Asteroid Terrestrial-impact Last Alert System Telescope discovered Comet ATLAS in June 2017. It was then beyond Jupiter, but it now lies about halfway between the orbits of Mars and Jupiter. Asteroid 2 Pallas continues to put on a nice show as it slides across the border from Boötes into Coma Berenices during May. The main belt asteroid 2 Pallas continues to shine brightly as it climbs higher in the evening sky. Pallas begins May at magnitude 8.3 and fades slowly to magnitude 8.9 by month’s end. That’s brighter than most of the background stars along its path near the border between Boötes and Coma Berenices. The region is a 10° hop from Arcturus, the magnitude –0.04 luminary of the Herdsman. You can’t miss this star — not only is it bright, but it also climbs 70° above the southern horizon in late evening. To find Pallas, first locate 5th-magnitude 6 Boötis, which lies 6.4° west-northwest of Arcturus. Next, head 2.4° northwest to 6th-magnitude 2 Boo. From there, you should be able to star-hop to the asteroid using the chart below. A handful of well-separated 6th-magnitude stars frames the field, so triangulating to the asteroid is pretty simple. From May 5–11, Pallas will be alone in the eyepiece. The asteroid’s westward motion slows to a crawl in the second half of May as it nears the end of its retrograde loop.